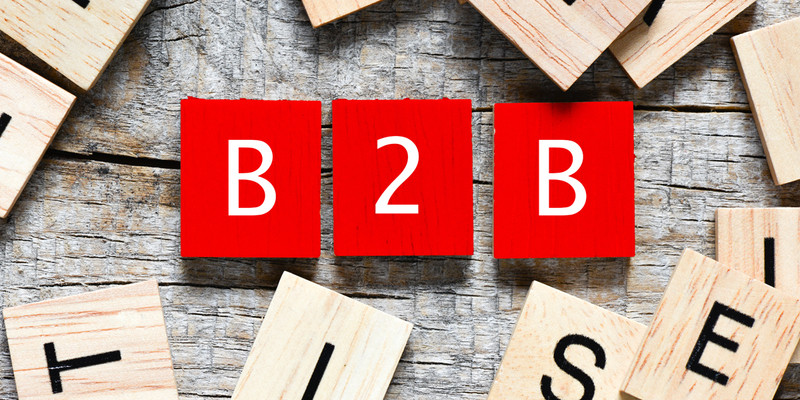 Being familiar with business terms is the key to writing impactful B2B content. But the business environment is rapidly changing and so is the lingo. That’s why we’ve summarized some of the trending business buzzwords that every B2B content marketer should know. The term refers to a crucial growth opportunity for organizations, essentially blurring industry boundaries. This occurs due to a focus shift from individual products to cross-industry value experiences that are based on digital business principles. For instance: The real industrial convergence comes into play when systems with built-in intelligence can adjust and act according to their evolving ecosystem, without human intervention. Digital disruption or digital transformation is the impact experienced by adopting innovative technologies and new business models that augment, or sometimes completely overhaul the final value of existing products and services offered. For instance: In the face of intense digital disruption, competitive intelligence can help companies in the automotive industry stay nimble. It is an approach that promotes the development of new products and services based on a firm’s technological competence instead of proven demand. It is the fruition of decades of R&D to catalyze productivity, drive efficiency and permit the germination of new possibilities. For instance: Key industrial hubs like China are already employing technology-driven innovation in advanced robotics to promote enhanced automation. The group of people born between the early 1980s to the mid-1990s are titled as Millennials. The term stems from the fact that they were the first graduating class of 2000 – the new millennium. Gen Z is known to have a slight overlap with the millennials as the former’s age group begins in the 1990s. For instance: Overall, e-commerce has indeed been growing in popularity – especially under certain demographics such as millennials. Also known as ‘digitally engaged’, these are people innately familiar and avid users of the latest technology. From experimenting with different e-commerce marketplaces to checking out the next cryptocurrency development, they are digitally-charged consumers eager to experience the next technological breakthrough. For instance: Local businesses tend to be pulled by their digital-savvy customers into adopting new technologies. ‘Cross-industry trends’ is a term used to evaluate the market for innovations, that when infused into your industry can reap future growth benefits while achieving multiple objectives through timely collaborations. For instance: More than 300 C-level executive respondents said they believe in analyzing cross-industry trends as it offers an effective way to foster innovation. A value chain refers to the entire range of activities that businesses undertake to bring a product or service offering to their customers. This entails aspects like inbound distribution or logistics, manufacturing operations, marketing and selling, after-sales service and so on. For instance: Technology plays an important role throughout the value chain, in areas such as recruitment, marketing, and advertising, among many others. This term is used to express the problem of businesses procuring colossal amounts of unstructured data based on every consumer activity without having sufficient resources, expertise, and analytical tools to draw concrete conclusions. For instance: A crucial factor in overcoming a data deluge is to build an intelligent data strategy which includes revamping the data infrastructure. When an opportunity seems easily achievable and hence tempting but offers significantly less value when compared to more challenging options, such choices are called low hanging fruit. For instance: Before going after a low-hanging fruit it is important to consider how much more money, time, and energy it will consume than what you originally had in mind. This phrase is usually used to try extending the existing limits of performance in order to go beyond commonly accepted boundaries. It’s often used to promote innovation or sales. For instance: Gauging when to push to envelope on technology investments is as important as knowing the internal expertise you have to power your goal. ‘Smarketing’ signifies the collaboration between sales and marketing in order to join hands towards a common goal. For instance: Close the loop on your inbound marketing campaigns by adopting smarketing as an approach to foster better sales and marketing alignment. Now that you have updated your lexicon as a B2B content marketer, don’t shy away from using them with confidence in your marketing collateral.